Most homeowners cherish their outdoor spaces and want to create front yards and backyards that are welcoming, visually appealing and maybe just a little bit nicer than their neighbor’s. A lush front lawn, colorful flowerbeds, attractive ground covers and perfectly trimmed hedges all add to your home’s curb appeal and help to create outdoor living areas that your family can enjoy throughout the year. If you have children, your yard also provides a place to play outdoors, daydream and enjoy family barbecues or backyard camping adventures. If you have pets, your yard provides them with an outdoor area to roll around, nap in the sun and play fetch with you or your kids. Depending on how you choose to use your yard, you may also have or want a vegetable garden, an outdoor kitchen or a hidden retreat where you can slip away to read or meditate. For all these uses and more, you want your yard to be a clean, safe, functional space that fits your family’s needs and offers an outdoor living environment that promotes good health and overall wellness. You also want your yard to be an attractive place where you can entertain guests and enjoy time outdoors. Your yard can be all of these things, but with so many chemical products on the market being touted as the best – or only – way to achieve a verdant, weed-free, pest-free backyard retreat, it may seem nearly impossible to have a beautiful yard without introducing chemical-laden products that can be toxic to your family and pets. The companies that market chemical fertilizers, plant foods, weed killers and pesticides do not want you to know this, but you probably have everything you need to meet your fertilizing, pest control and weed control needs naturally already in your home. And if there are a few all-natural yard care products that are not already in your bathroom, pantry, trash can or garage, you can easily and inexpensively find them at your local grocery store or garden center. An increasing interest in home composting has caused more homeowners to consider creating a backyard compost pile or purchasing a composter for their yards. At-home composting is a simple process that takes few resources or skills, but some homeowners are put off by the idea that rotting food scraps and yard waste might result in unwanted odors or just might be a little gross. If you do not want to take on making your own compost, you can always buy all-natural fertilizers or organic compost from your nearest garden center, but keep reading to see just how easy it is to compost at home. All you need to create rich compost that will naturally improve your soil and boost the health of your plants, flowers or natural grass lawn is water, air, carbon and nitrogen – and a place to put it. Choose a spot in your yard that is out of the way – and out of sight, if you are concerned about it being an eyesore. You do not need a very big area; even just a two-foot by two-foot space is enough room to get you started as you are learning how to compost. You can purchase a pre-made compost bin or a DIY compost bin kit, or simply build your own compost bin with four sides and a lid. There is some mixing involved in composting, so if you are not interested in getting in there to fluff up your compost pile regularly, you might consider purchasing a compost tumbler, which is a composter shaped like a barrel or a drum that can be rotated to mix up your compost materials. As for materials to compost, you need green materials that provide nitrogen and brown materials that provide carbon. Your green materials can be coffee grounds, tea bags, fruit and vegetable peels and scraps, grass clippings, or even manure from cows, horses or chickens, if you happen to have some on hand. Keep in mind that you do not want to use pet waste that comes from dogs, cats or other household pets. Your brown materials that provide the carbon for your compost pile can be shredded newspaper, paper from your home paper shredder, twigs, dry leaves and other dry yard waste. Since you want a good balance of nitrogen and carbon, make sure you include layers of both green and brown materials, and don’t go to heavy on just including grass clippings or just using shredded newspaper. Remember that we are making all-natural compost, so we do not want to use yard clippings that have been treated with chemical pesticides or herbicides. To avoid attracting pests and creating a bad smell in your backyard, do not compost animal products (such as meat or dairy products), fat or pet waste. Water your compost pile regularly to make sure it does not get too dry, and fluff it up every once in a while to make sure the microbes doing all the dirty work for you are getting enough air. Composting requires a bit of trial and error to determine what works best for your particular situation. Depending on how much attention you give your compost pile and what you include, you could have a finished compost product within weeks or after several months. Once your compost is finished, it is best to add it to your soil a few weeks before you plant your garden or flowerbed. You can also use your homemade compost as a ground cover around plants, or you can make a compost tea by soaking your finished compost in water, and then watering your plants with this nutrient-rich tea. If you would like to make this a fun project to do with your kids, you might also look into vermicomposting, which is a method of composting that involves adding worms to your compost pile. Avoiding chemical fertilizers by making your own compost is a great first step in chemical-free yard care or organic gardening; however, you will also need an all-natural way to kill weeds and keep new ones from overtaking your landscaping. There are natural weed killers and organic herbicides available online or from some garden centers, but you can also use inexpensive, natural products that you probably already have in your kitchen. DIY weed killers are cheap and effective, but it is important to remember that they do not discriminate against the good guys and the bad guys. So if you have weeds invading a flowerbed filled with your favorite blooms or a garden plot where you plan to plant your tomatoes, be sure to avoid getting these chemical-free weed killers on the plants you want to keep. Spraying weeds with vinegar requires a few applications and usually takes a few days, but this all-natural weed killer gets the job done without introducing chemicals to your garden. You do have to be careful to not burn yourself or your good plants, but boiling water is the cheapest, simplest way to kill existing weeds. Using salt as a weed killer needs to be done with caution. This effective method will wipe out weed populations with ease; however, it should not be used on any type of soil that will ever be used to grow anything. Only a tiny bit is needed, and its use should be restricted to driveways, gravel areas and similar non-soil settings. You will also need to pay attention to runoff to make sure the salt will not travel from your walkways or driveway to your lawn or flowerbed. Cornmeal is a great way to prevent weed growth in the first place, since it prevents the germination of seeds. As an added benefit, it also attracts worms to your garden (which is a good thing). Cornmeal does not discriminate when it comes to preventing seed germination, so you will need to wait until your own seedlings are sprouted and thriving, or use it around mature plants. Use natural ground covers, such as mulch, bark, wood chips or gravel to cover soil and limit weed growth. 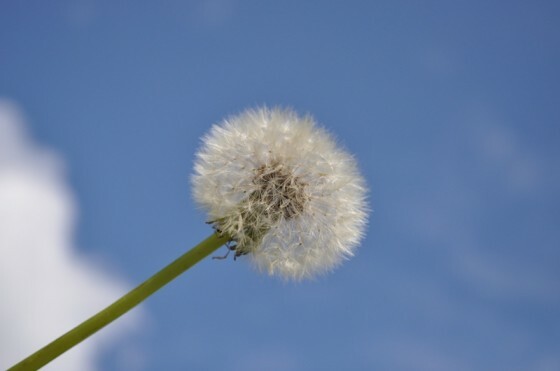 If you decide to fall back on the old-school method of pulling garden weeds by hand, keep in mind that some plants we consider weeds can be eaten or used for medicinal purposes. Dandelion greens are a good example, which can be cooked, made into tea or added to salads. If you plan on eating your weeds, make sure they have not been treated with chemical pesticides or herbicides. A key component in chemical-free yard care is finding a way to keep pests at bay without using commercial pest control products made with toxic chemicals. 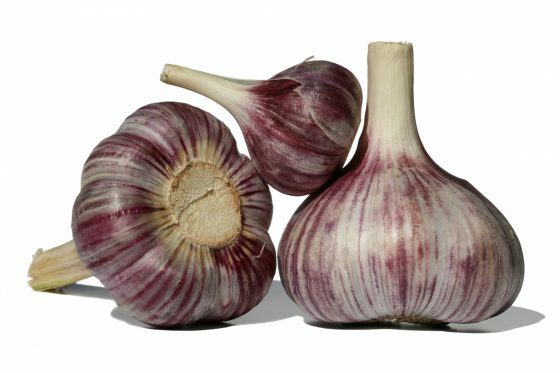 Fortunately, there are all sorts of natural methods to control just about every sort of garden pest, many of which you already have in your pantry, such as salt, garlic and bay leaves. Sprinkling a salt barrier around your garden beds will keep slugs and snails away from your prized plants. Just remember that salt is not good for your soil and desirable plants, so use it with caution. Garlic slices slipped under cabinets deter cockroaches inside and placed in the cracks of your deck can deter ants outside. Cockroaches, fleas and ants do not like bay leaves, so slip a few in cracks under doorways or in other hidden areas to keep them away. Keep your cucumber peels and place them in affected areas to deter ants. Plant rosemary or sage, or other insect repellant plants, to enhance your yard’s beauty and keep pests away. You can also toss a little rosemary or sage on the grill to keep mosquitoes away while barbecuing with your family. Place a few drops of eucalyptus oil on pieces of cloth and hang or lay them in infested areas to get rid of flies. 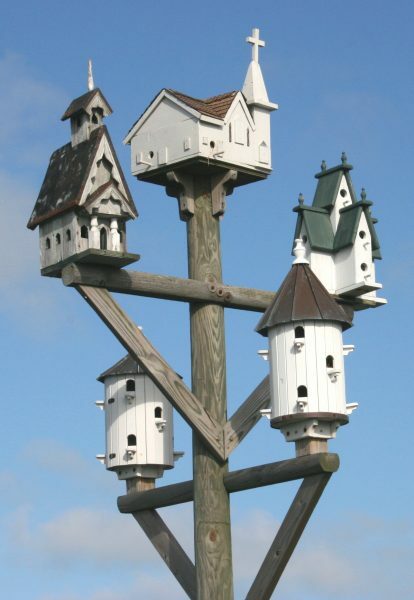 You may not have this in your pantry, but you can easily acquire a birdhouse or bat house online or at a local store. Providing a safe, welcoming home for birds and bats will invite them to hang out in your yard, where they will feast on insects and lower your pest population. Mint is another insect-repelling plant that is an effective deterrent for ants and other garden pests. Just remember that mint can take over your entire yard if you let it, so it is best confined to containers or flowerbeds with good borders. 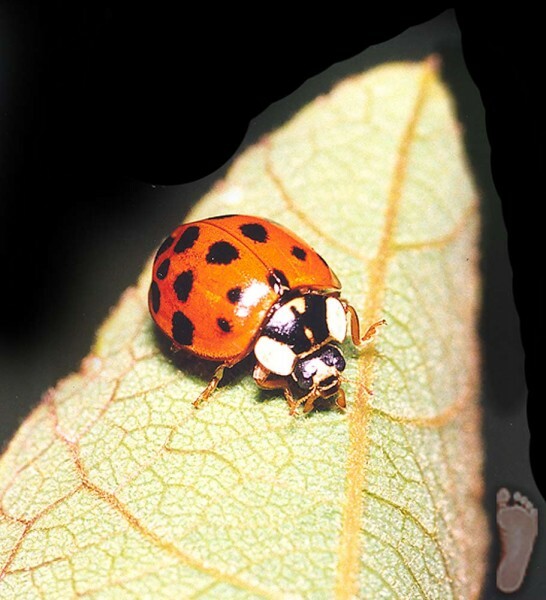 Not all bugs are bad for your garden; in fact, introducing helpful insects – like lady bugs – can help you control aphids in your rose or vegetable garden. For even more natural pest control tips, check out our post dedicated to chemical-free pest control. Whether you are attempting to live a greener lifestyle, want to avoid using chemicals where your kids and pets play, or simply do not like the idea of toxic substances hanging out in your yard, practicing organic and natural gardening is an easy, inexpensive way to have a beautiful yard without using chemicals. Chemical pesticides, herbicides and fertilizers might seem like a fast, convenient way to achieve a great-looking yard free of weeds and bugs, but is it really worth being exposed to harmful chemicals just to save a little time when you can just as easily achieve your goals with natural methods? Create a beautiful yard or garden that is also safe and chemical free by using these tips to make your own natural pesticides, DIY weed killers and nutrient-rich compost. 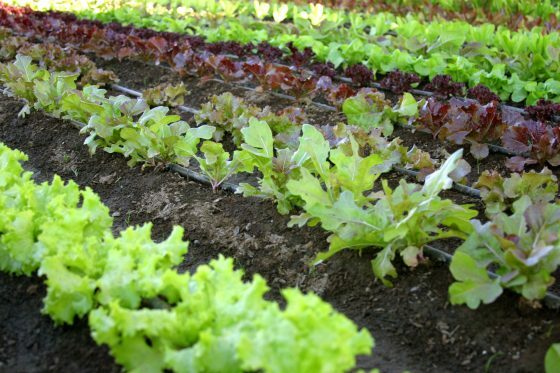 Do you have organic gardening tips that have worked well for you? If so, share them with us and other readers by commenting below.